Orly Airport is the second airport in Paris located 10 miles South East of the city - Dedicated mainly to European and domestic flights. Orly is a quite large and busy airport - There are two terminals. Terminal West houses only a few airlines, with the older Terminal South handling most of the long haul routes. We provide Taxi online reservation service at flat rate. You can either select private or shared transportation between Orly airport, terminal West and South and any address in Paris. 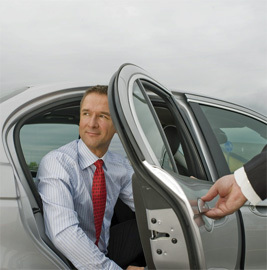 Book your Orly airport transfer before you go and save time, stress and money. 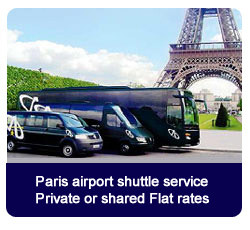 An affordable alternative to the high cost of taxis and other private transportation is Airport Connection service in Paris that offers a fleet of air-conditioned, non-smoking, 8-passenger minivans with courteous English-speaking drivers who will assist you with your luggage, and drive you safely from either Orly terminal directly to your address in Paris or selected suburbs.